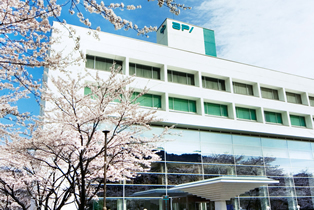 Company Outline Nagaragawa Research Center｜API Co., Ltd.
Approx. 45-minute drive (32km) from Gifu-Hashima IC, Meishin Expressway. JR: 15-minute taxi ride or 20-minute ride on Gifu Bus from the north exit of Gifu station. Meitetsu: 15-minute taxi ride or 20-minute ride on Gifu Bus from Meitetsu Gifu station. * If you are coming by taxi, please tell the driver to take you to API, 200m east of Gifu Grand Hotel. 20-minute bus ride from the terminal No.13 at JR Gifu Station or bus station No.4 (Kandamachi St.) at Meitetsu Gifu station. Take N32 bus for Iwaiyama Kasagami or N33 for Miwashaka and get off at the Nagara-shinyashiki bus stop. We will be right in front of you.